What do you do when you have 900 people attending your reception? You find a massive ballroom. Cinal Bhindi's wedding to Taju Patel was a lovely affair, and it was a privilege to shoot. 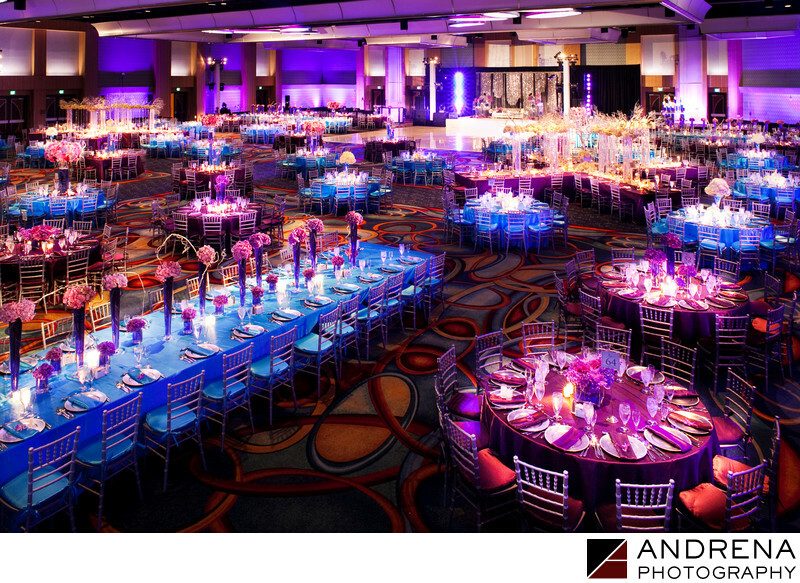 The ceremony itself took place at the Long Beach Hyatt, but the reception, which took place the next day, required a bigger venue. In this case, the Anaheim Marriott provided the perfect space. Expert coordination was provided by Jeannie Savage at the team at Details Details, and florals and decor were provided by the incredible Shawna Yamamoto.